The 131st release on Suffused Music welcomes Chris Sterio & Sean McClellan back to the label for a brand new single. Hailing from Isle of Man and the USA respectively, Chris and Sean have collaborated in the past with exceptional results. The duo’s ‘New Dawn’ proved to be a standout on Suffused Music’s ‘Initializing Vol 3′ Collection while one off productions for Chris’ Soundscapes Digital and PolyTechnic Recordings have also stood the test of time quite nicely. 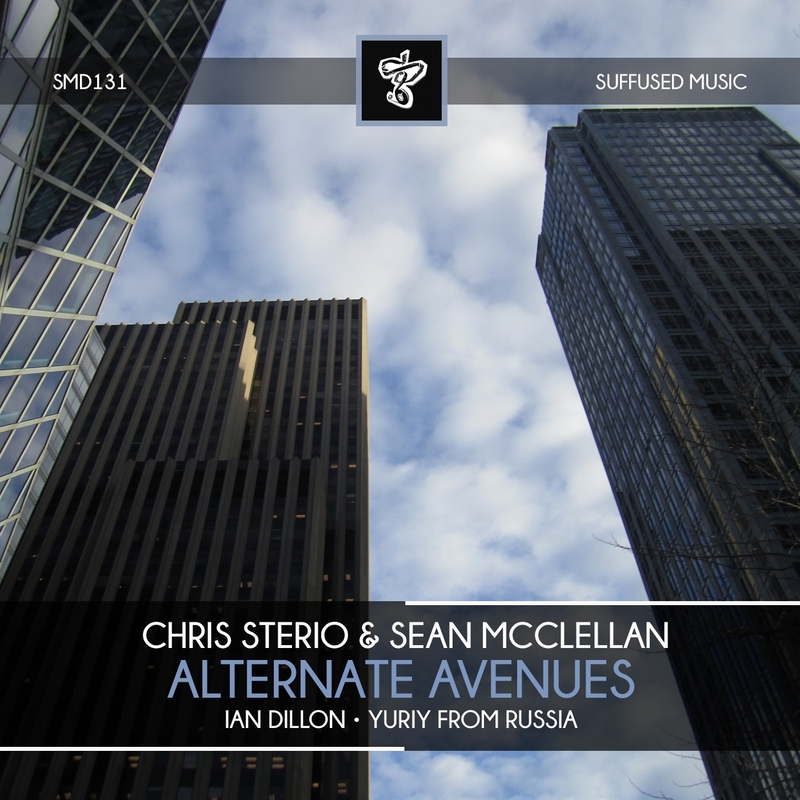 The latest from Chris and Sean is entitled ‘Alternate Avenues’ and comes alongside remixes from Yuriy From Russia and Ian Dillon. Having both spent over two decades in the electronic music underground there’s always been something quite timeless about Chris and Sean’s productions. When the two get together for a collaboration it tends to be quite memorable and that is certainly true of ‘Alternate Avenues’. Beginning with a deep, spacious groove the duo slowly unleashes catchy vocal hooks and spacey electronics. Harmonious stabs and shakers then elevate the mood further and the dance floor sensibility rises as a result. Guitar strums and additional vocal elements add a touch of soul, ultimately leading to an elegant yet dramatic break. Short and impactful the beats soon drop with a gorgeous synth overlay for what should be a magic moment on the floor. Gorgeous work from Chris and Sean. The first interpretation of ‘Alternate Avenues’ is provided by Yuriy From Russia who is making his 12th appearance on Suffused Music. The ever consistent and always prolific producer now residing in the USA takes ‘Alternate Avenues’ into pure progressive house territory. Anchored by a smooth, pumping groove and tonal rhythms it doesn’t take long to get drawn into its energy. Gated vocals, although indistinct setup and bevy of melodic motifs as guitar elements trail off in the distance and the main break commences. Reaching a delicate moment the beats then drop as a third act of warm atmospheric swells and guitar strums take you home. The second and final interpretation of ‘Alternate Avenues’ is provided by Ian Dillon who is making his first appearance on Suffused Music. The UK artist and Decoded Magazine radioshow host has built an incredible discography over his nearly 4 year career, highlighted by appearances on 238W, Hydrogen and Pro-B Tech Records. As one of the more versatile producers in the underground, electronic music fans have seen Ian explore various stylistic blueprints, including techno, deep house and electronica, all with a progressive state of mind. For his ‘Alternate Avenues’ interpretation Ian has put an energetic twist on the piece with a tough, momentous groove and a bevy of hypnotic lines. Again the effects storyboard plays a huge part in the tracks brilliance with gated vocals and trailing motifs flowing through the framework with a dramatic flair. Quality remix from Ian which rounds out another great offering from Suffused Music. Don’t miss it.